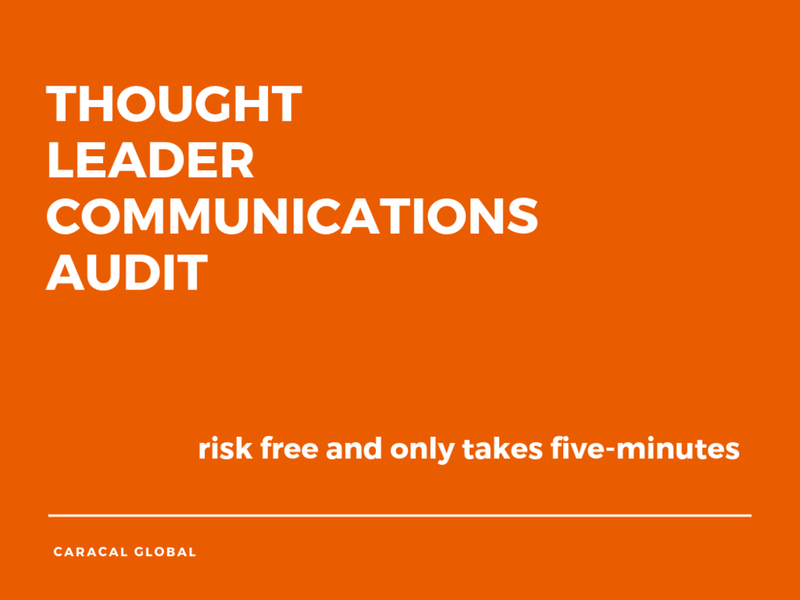 Our team of communications experts designed a risk-free, 5-minute communications audit that can help you grow your brand and increase your thought leadership. We start by asking a few questions about your business, what communications tools you currently use, as well as, your business objectives. Once the audit process is complete, we will review the data and complete our analysis. From this analysis we will provide a multi-page report and with a score based on a 100-point scale that evaluates your thought leader communications on the basic digital practices that drive results and increases attention. Simply fill out the form below and our team of experts will take care of the rest. We ask that you fully complete the questionnaire to be evaluated accurately. Once the communications audit is submitted, our team will begin filtering through your publicly viewable digital footprint. You will receive a confirmation email where you will be invited to schedule your free consultation with Caracal Global Founder Marc Ross. We take 2 business days for the evaluation process to be completed from start to end.